I bought a couple of new fabrics this week..
(Okay, maybe more than a couple). 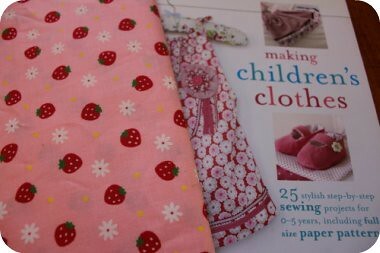 And this one is going to be a cute little summer dress for Sophie with red bias binding.. But today there will be no sewing done. Its the warmest (winter) day in Sydney and Sophie and I are heading off to the park.. The sun's trying to poke through the blanket of cloud in Melbourne...but not having much luck. Yes, perhaps a few more than a couple but who's counting! Can't wait to see the dress. Send some of that warmth our way - in Victoria we are getting blown away by 4 degree winds. 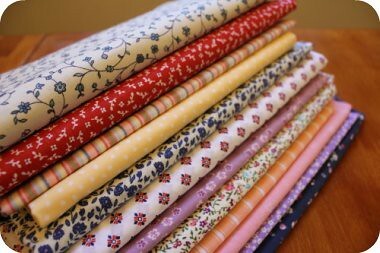 they are gorgeous fabrics - i have borrowed that book from the library - it is really good with such great patterns! 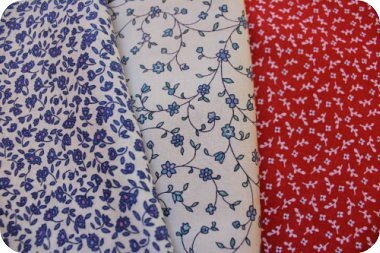 Nice fabric choice for that cute summer dress - hope Melbourne can get some of that sunshine soon, we need it! Ooh - beautiful fabrics!! I hope you enjoyed your lovely warm day in Sydney. Sewing can wait! Lovely lovely! Hope you enjoy your day!